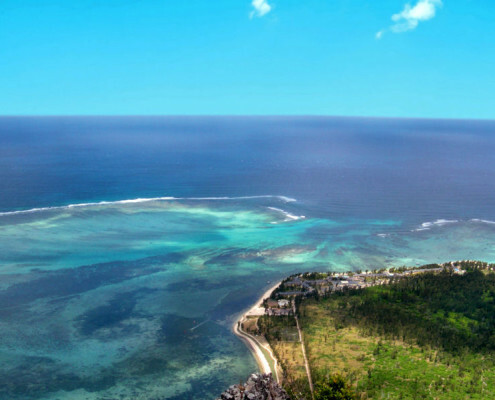 Within the Riu Resort, the 4-Star Hotel Riu Creole lies on a sprawling property with buildings scattered amidst a succession of lush tropical gardens at the foot of majestic Le Morne Mountain. 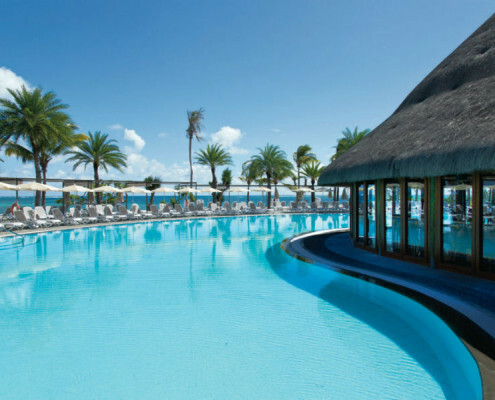 The all-inclusive Hotel Riu Creole is the hotel for families and couples alike. 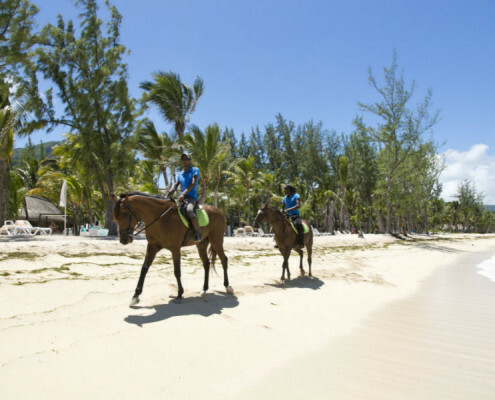 Vast, pristine beaches of white sand border the turquoise lagoon and the wide variety of leisure and sport activities on offer will exceed guests’ expectations, providing unforgettable moments. Revel in excellent cuisine in our restaurant or relax, unwind, refresh and indulge mind and body with a treatment in our Spa, a haven of peace and tranquillity. 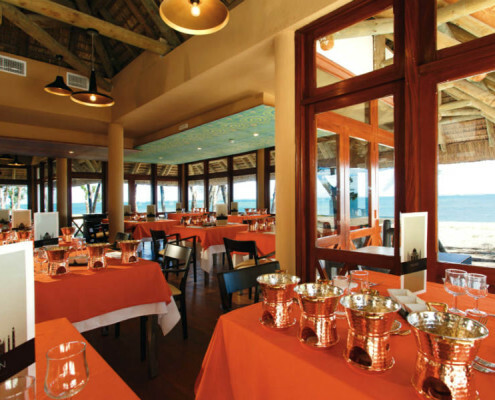 Guests may use the restaurants and facilities at the nearby Hotel Riu Le Morne, part of the Riu Resort. 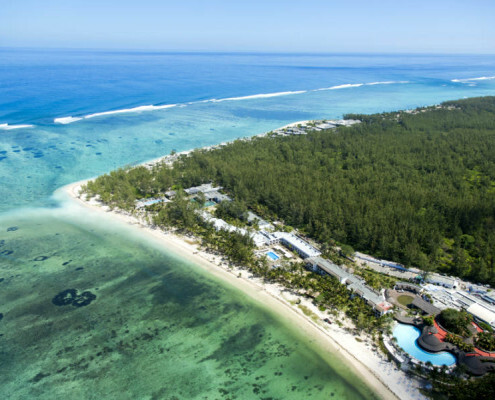 Hotel Riu Creole is situated on the south-west coast of the island at Le Morne, only 60 km from the airport and Port Louis, the capital. 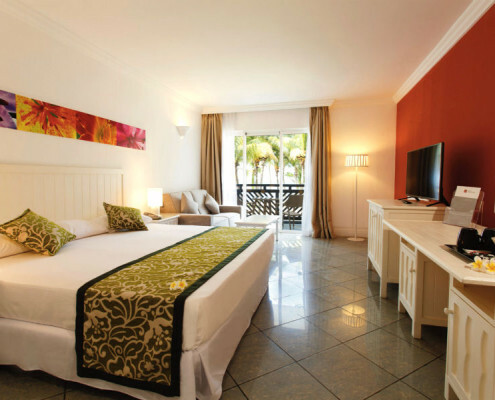 The Hotel Riu Creole offer a choice of a large Double Room with a partial sea view or sea view Suites. The Double Rooms have a double bed, sitting area and some are provided with a sofa bed. 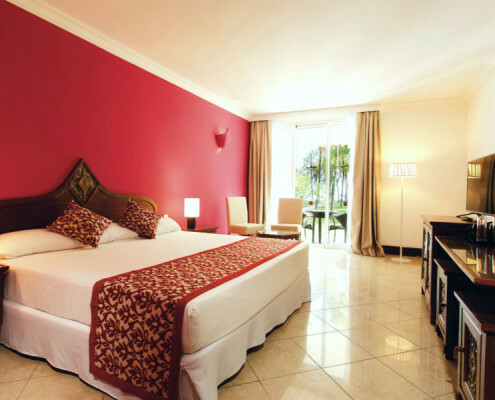 The spacious Suite has a double bed, integrated lounge with sofa and a dressing room. The garden view Family Rooms have 2 bedrooms; one with a double bed and the second with a double or two single beds. All guest rooms feature a bathroom with bathtub and shower, hairdryer, telephone, Wi-Fi at a charge (free in public areas), central air conditioning, mini-bar, kettle, satellite TV, electronic in-room safe and balcony or terrace. 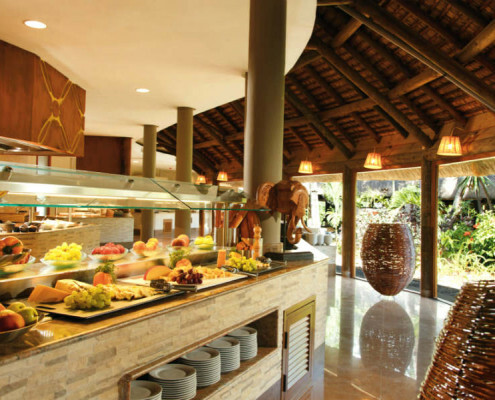 The resort has a varied choice of restaurants and bars at both Hotel Riu Creole and Hotel Riu Le Morne, guaranteed to satisfy your taste. 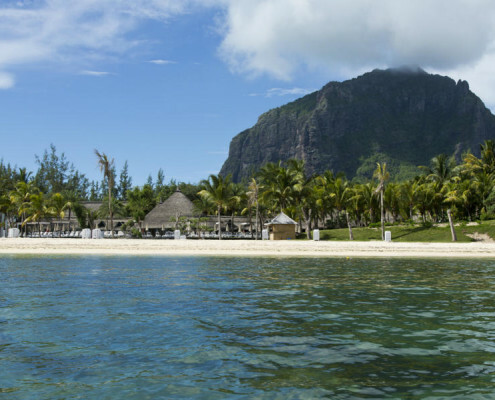 Reservations required at Hotel Riu Le Morne restaurants. La Gaulette is the main restaurant with outdoor seating on the terrace and is open for all meals. La Gaulette offers a Continental or full American buffet breakfast, buffet lunch and dinner with buffets and live cooking stations. Three nights a week, we offer special themed buffets. Bangalore with its fragrances of delicate spices and incense offers a variety of flavours and cuisine from India. Kaori, our Asian restaurant, serves a wide variety of Asian delicacies. Reservations required. Open 24 hours is Savanne, our terrace lobby bar/snack bar and offers snacks, a selection of refreshments, fresh fruit juices and cocktails. Other options for a quiet refreshment or exotic island cocktail are Sega, our lounge bar, and Tamarin, the beach bar or the poolside La Cambuse lobby bar. Dress code in our restaurants is formal dress for dinner; no sleeveless t-shirts accepted and long trousers required in the theme restaurants. Our entertainment programme includes shows, daily RIU evening programme or live music, Karaoke several times a week and free entrance and drinks at the La Perle discotheque, open most nights of the week. RiuLand is our kids club for children age 4 to 12. Split into two groups, age 4 to 7 and 8 to 12 and under the watchful eyes of our experienced staff, children will be entertained daily with a wide variety of activities on the programme. Set in the gardens of the resort, the kids club features a playground and swimming pool. The Renova Spa dedicated to wellbeing and our team of professionals will welcome you in a luxurious and refined environment where we offer a selection of treatments, massages, beauty salon and hairdresser.Renova Spa features a free whirlpool bath, Hammam and Gym.